Yorlab is marking a triple celebration as it opens its new North East office in South Hetton, launches its new look and starts to promote its dynamic new website. Led by Branch Manager Amy Reay, the new office is based on South Hetton Industrial Estate and is designed to serve the company’s growing client base within the North East area. Previously located at Bearpark on the western side of Durham, the new office is based just off the A19 and will provide much improved access to the region’s transport network plus offer more space and facilities for both staff and warehousing. 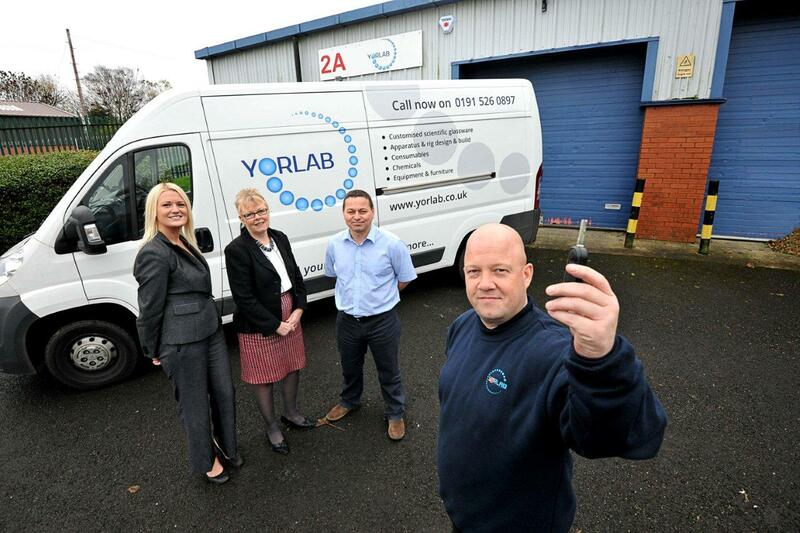 In addition to the new office, Yorlab has also launched new branding, which can now be seen on the South Hetton office’s van, and a new-look website. The website, which includes an overview of the company’s products, services and latest news updates, also offers customers the facility to order the full range of Sigma-Aldrich chemicals for whom Yorlab is a major distributor. With its Head Office in York, YorLab employs a total of 22 staff and specialises in the production of high quality custom-made scientific glassware and the design and build of apparatus and rigs. It also offers more than 300,000 products to the scientific industry, including consumables, specialist chemicals and laboratory equipment, and prides itself on offering a high quality, friendly service providing advice and support for all a company’s laboratory’s requirements.